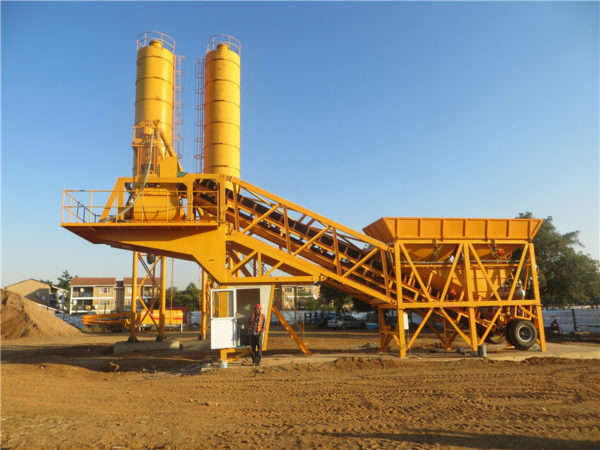 Concrete batching plant for sale is a combined device used to mix concrete. Because of high degree of mechanization and automation, its productivity is very high. Moreover, our concrete batching plant for sale not only has high working efficiency, but also can produce high-quality concrete. 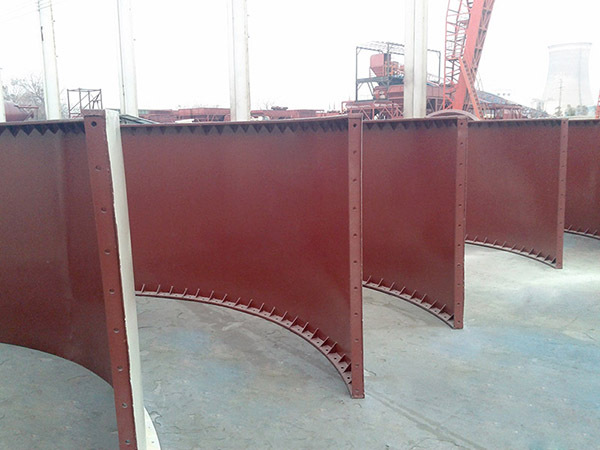 It is usually used for some medium or big projects that have amount of work , long period of construction and concentration of construction site. 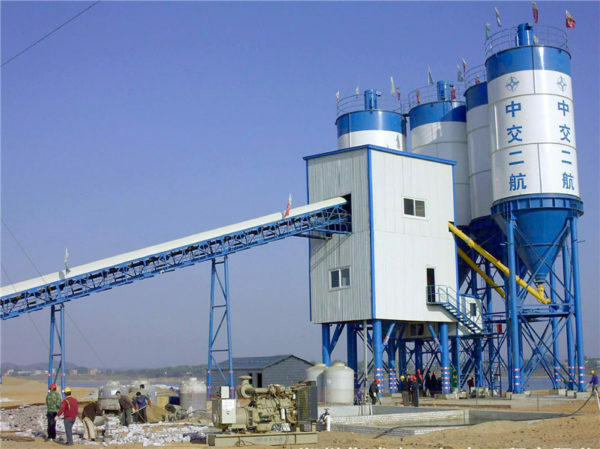 According to its productivity, there are three types of cement batch plant for sale, including large concrete batching plant, small concrete batching plant and mini concrete batching plant. 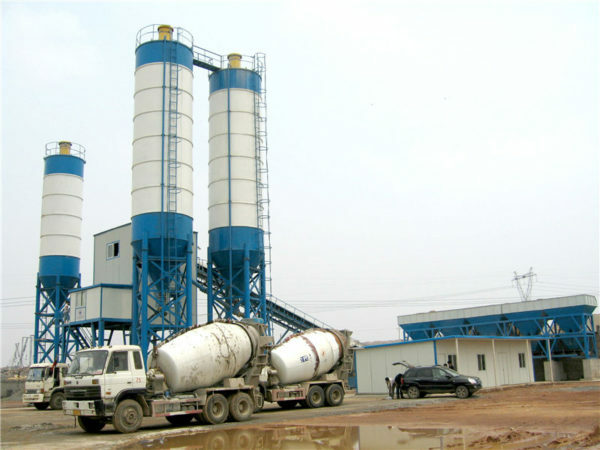 Usually, if its productivity ranges from 75m3 per hour to 240m3 per hour, that is large concrete batching plant. Large concrete batching plant possesses high degree of automation, high productivity, high weighing precision and high mixing quality. It can achieve continuous production, which is mainly used for the construction of national water conservancy, expressway, high rise building and other large projects. 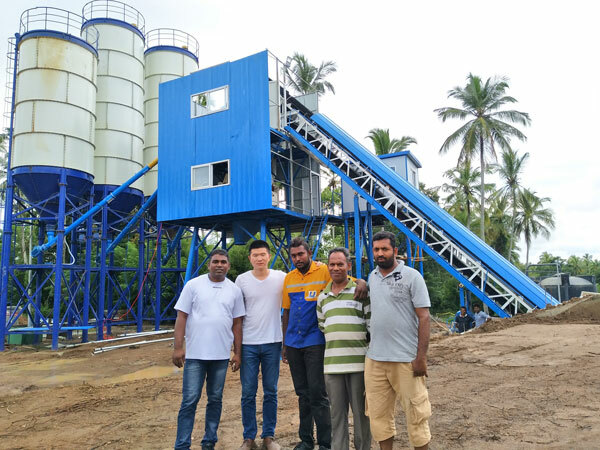 As a concrete batching plant manufacturer with over 1o years exporting experience, our company has delivered our concrete batching plant to many countries. Under the guide of our engineer, these concrete batching plants worked normally in these countries. 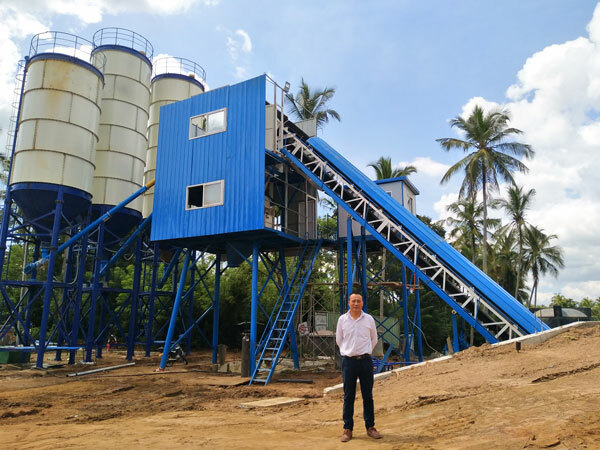 Our company hopes that we can produce high quality and satisfied concrete batching plants and our concrete batching plants can help our customers complete their construction projects. 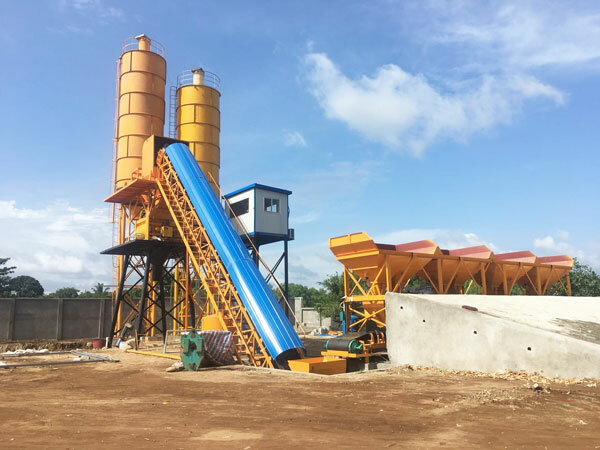 Because our concrete batching plants has the characteristics of good quality, long service life, low failure rate, high working efficiency and high automatic degree, they have received high praise. 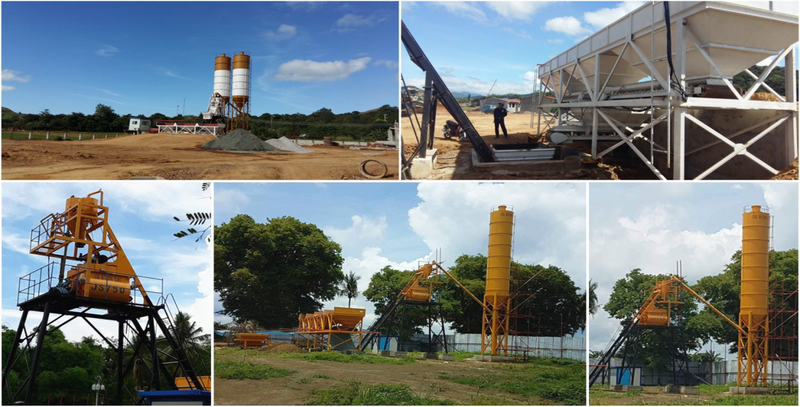 Now, you can learn our concrete batching plant working for different construction sites. 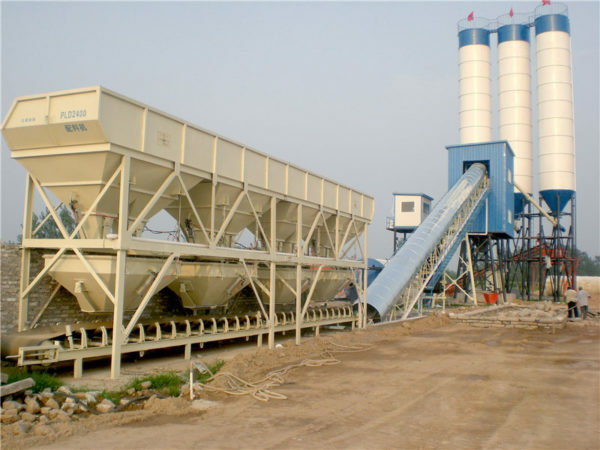 The productivity of small concrete batching plant ranges from 50m3 per hour to 75m3 per hour. 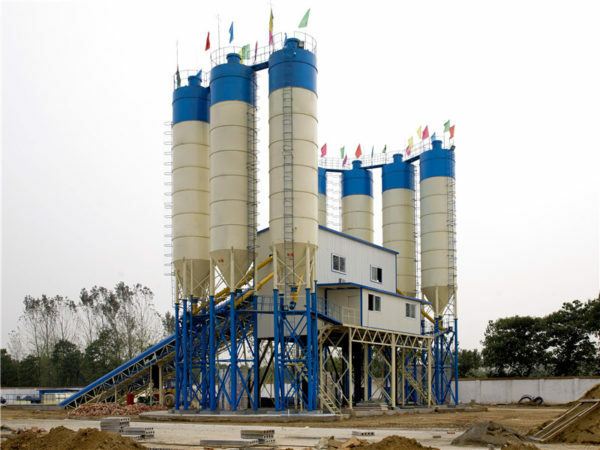 Small cement mixing plant for sale doesn’t put in too much money and the capital return is fast. Meanwhile, It just takes a little time and manpower to carry on daily maintenance. 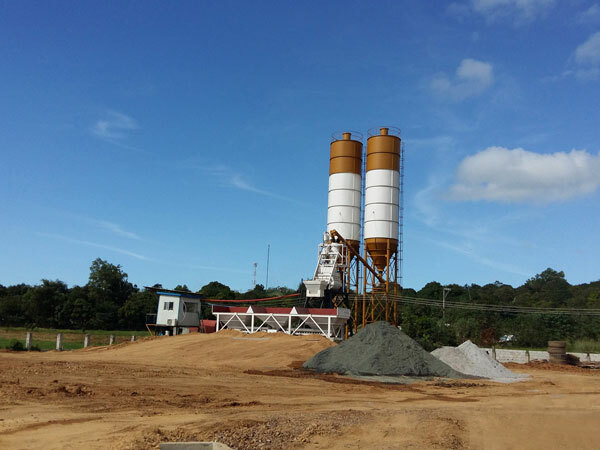 Mini concrete batching plant just includes two models. Its productivity is below 50m3 per hour, namely HZS25 and HZS35 . 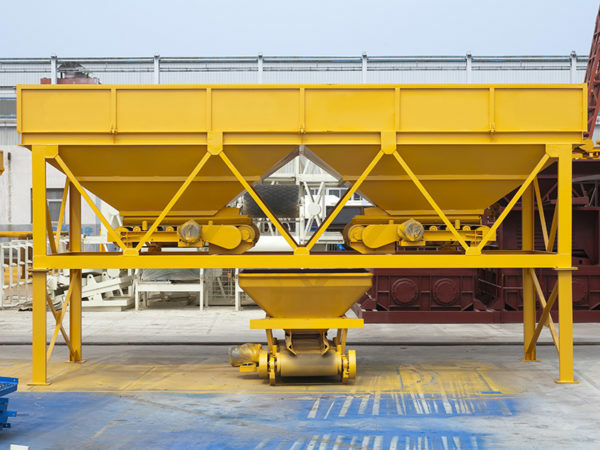 According to its the way of movement, concrete batching plant can be divided into stationary concrete batching plant and mobile concrete batching plant. 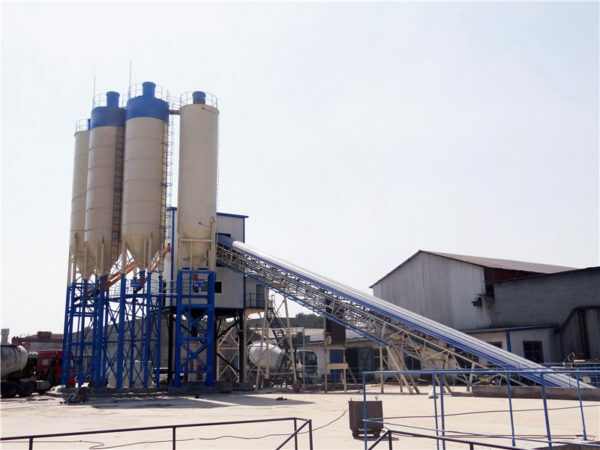 Stationary concrete plant for sale possesses good anti-interference and stability with high productivity, which is used for long construction period projects. 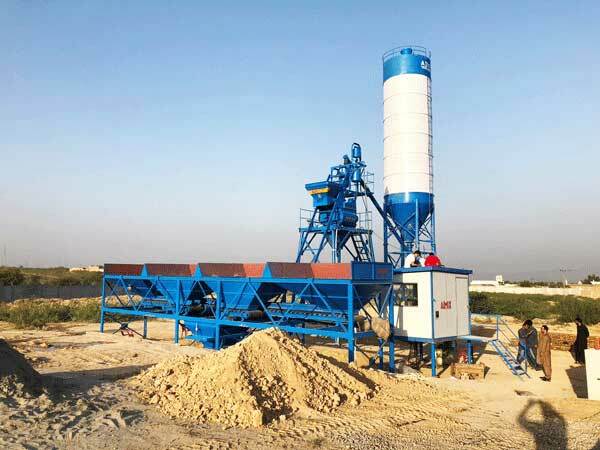 Stationary concrete batching plant has the following features: compact structure, stable performance; computer control, simple operation; high working efficiency; different feeding method meeting customer’s requirement. 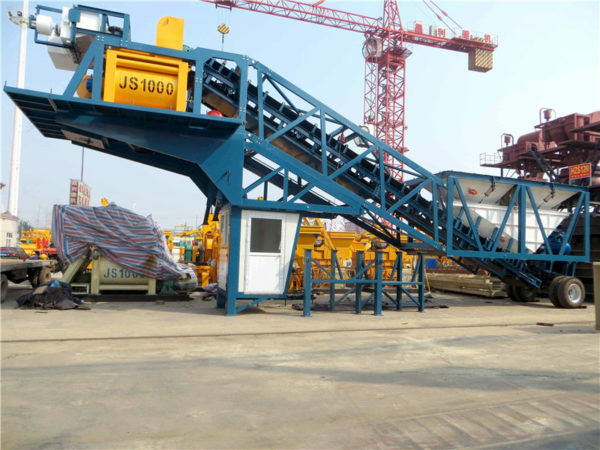 Our stationary concrete batching plant includes HZS25, HZS35, HZS50, HZS60, HZS75, HZS90, HZS120, HZS180, HZS240. 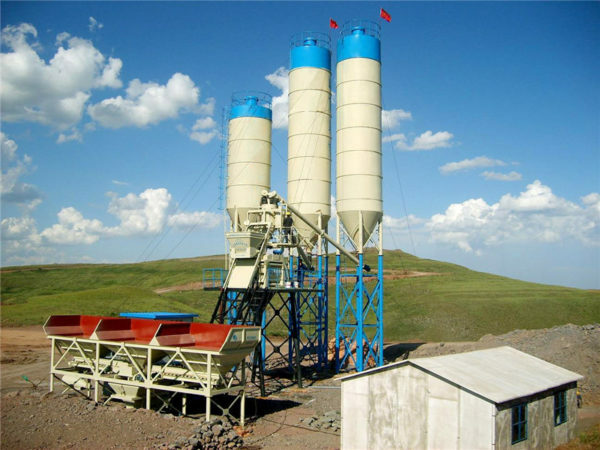 Concrete batching plants for sale also can be divided into engineering plant and commercial plant according to the purposes of its using. Engineering plant is mainly used for one’s own project, so it should match for own project. Commercial plant is mainly used for trade, which needs to possess high productivity and economic benefits. 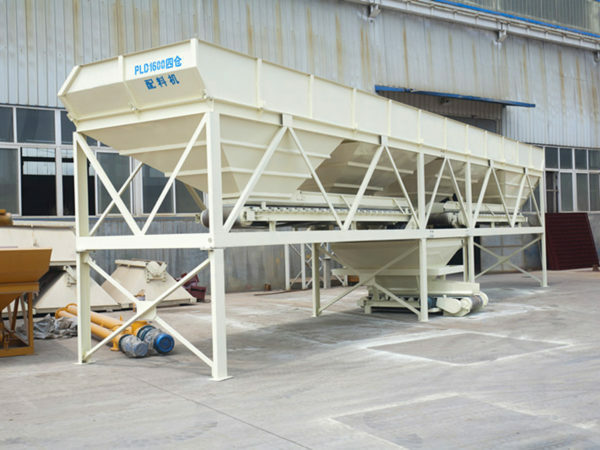 The advantages of skip hoist plant: low concrete batching plant price; small coverage area and simple structure. Skip hoist plant includes HZS25, HZS35, HZS50, HZS75. 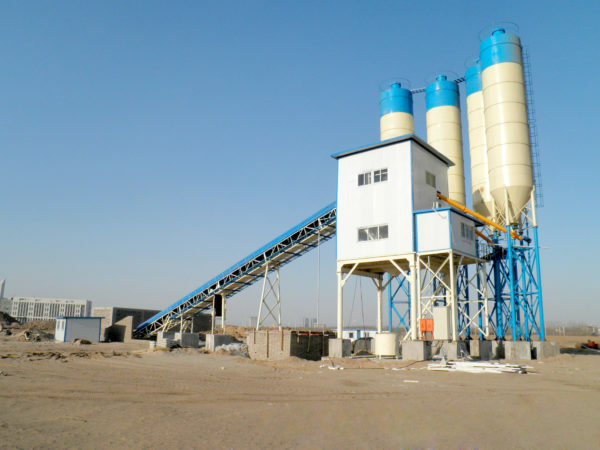 Before purchasing a concrete batch plant business for sale, choosing a suitable concrete batching plant is very important. So many people want to know how to select a suitable concrete batching plant. Now, I have some useful tips for you. 1. First, you should know how much concrete you want to produce per hour according to the size of your construction project. 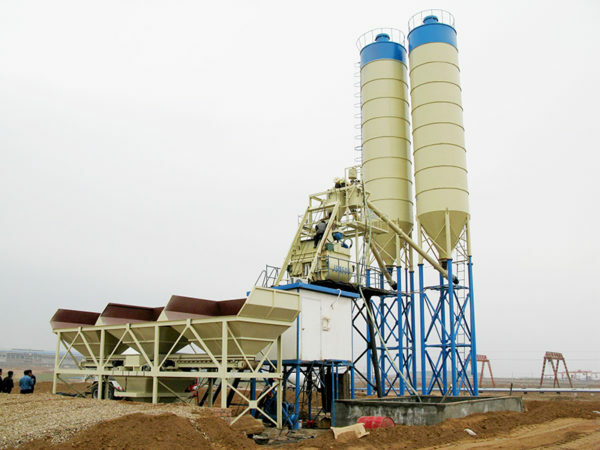 If your project is relatively large, you can choose large concrete batching plant. 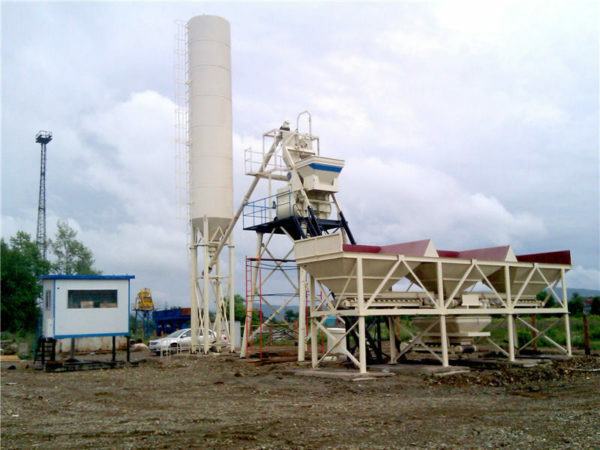 On the contrary, small concrete batching plant is an ideal choice for you. 2. 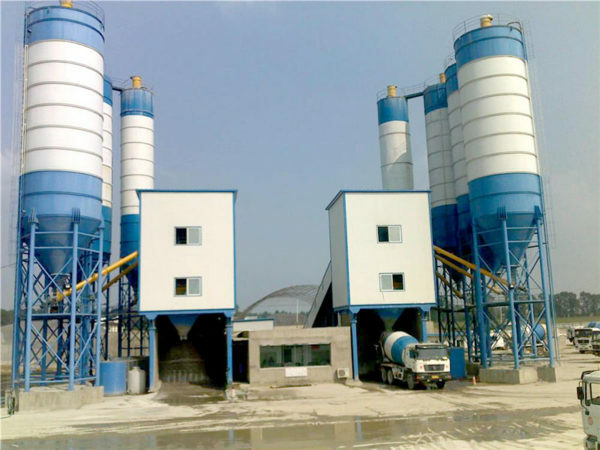 Then, you should consider what type of concrete batch plants for sale you should purchase, stationary type or mobile type. If you don’t need to frequently transport plant, you can choose stationary plant. If your projects are in different sites and you need to move plant regularly, mobile concrete batching plant is convenient. 3. Next, you should consider how much aggregate bins you should equip. In general, you need to equip aggregate bin according to the type of aggregate. 4. Fourth, weighing system can be divided into separated weighing and centralized weighing. Separated weighing has high weighing precision, which can improve the finished product quality. But the cost of separated weighing is relatively high. The cost of centralized weighing is relatively low, but the quality of finished product is lower than quality of separated weighing. 5. Fifth, you should select suitable cement silo. 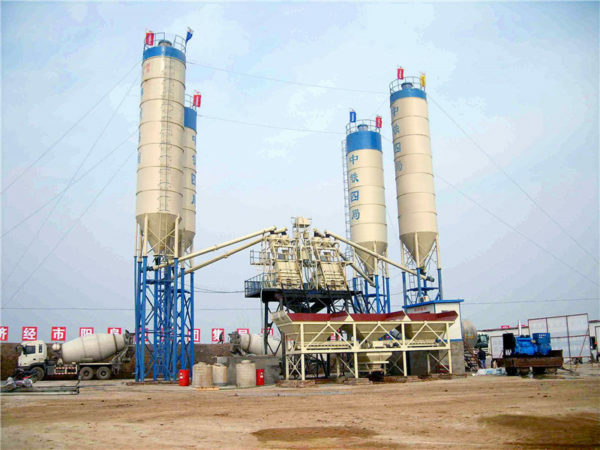 We have many models cement silo, including 30t, 50t, 100t, 150t, 200t, 300t, 500t and so on. General, if the productivity is below 50m3 per hour, the plant should be equipped with 50t or 100t. 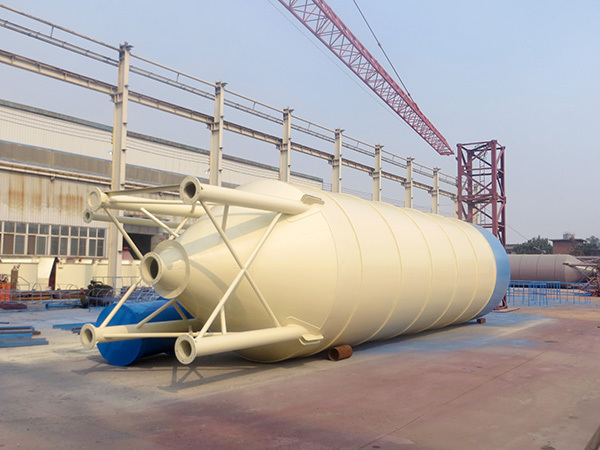 When the plant productivity is above 50m3 per hour, it is equipped with 100t, 200t or bigger silo. 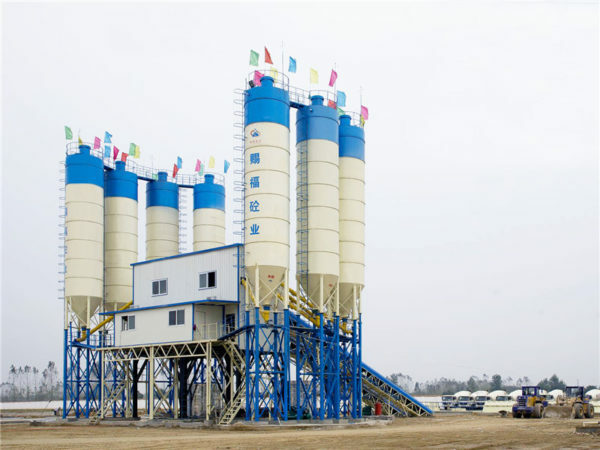 Of course, you can choose a suitable cement silo according to your demand of cement. 6. Sixth, you should consider what type of mixer you should buy. Our company provide you with single shaft concrete mixer, twin shaft concrete mixer and concrete pan mixer. Of course, after you reading these tips, if you still don’t know how to choose, welcome to contact us now. We will help you design the most suitable plan. 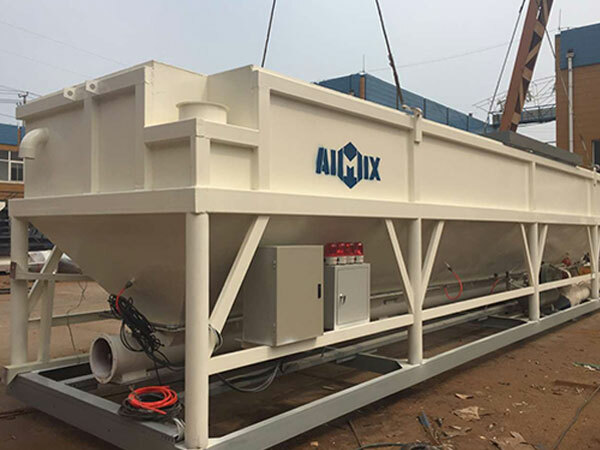 First, The aggregates will be sent to the batching machine according to the different types and then they will be weighed through separate weighing or accumulative weighing. After the weighing, send the aggregates to the waiting storage bin. Then, fly ash and cement will be transported to the weighing hopper through the screw conveyor. And after the weighing, fly ash and cement will be sent to mixer. Next, water pump draws water from the pool and pumps water into the water weighing hopper. And additive also will be pumped into the additive weighing hopper through the additive pump. And then, proportioned additive will be discharged to the water weighing hopper and mixed with water. Last, use the mixer to mix the aggregate, cement, fly ash, water and additive. The whole process is finished now. 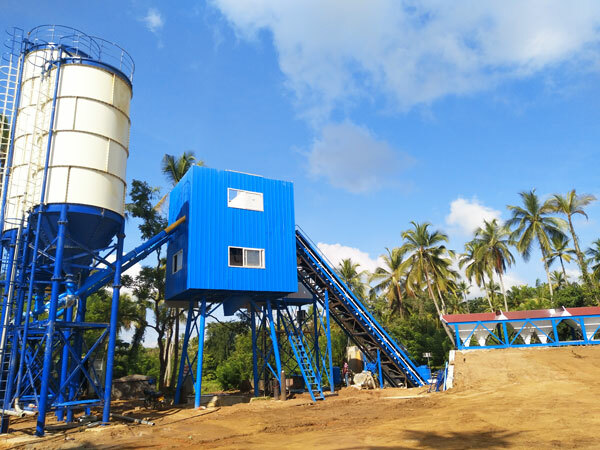 For the clients who want to purchase a concrete batching plant, choosing a reliable concrete batching plant manufacturer and supplier is very important. 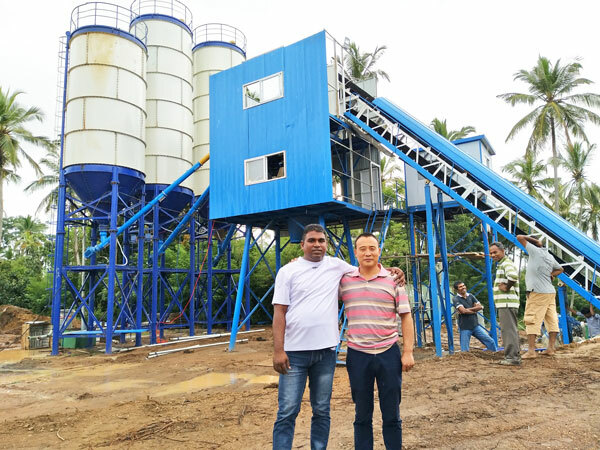 A good concrete batching plant supplier not only can provide clients with high-quality machine, but also reasonable concrete batching plant price. Since our Aimix Group founded, we always adhere to the principle of “customer first”. We have a perfect set of pre-sale, during sale and after-sale service. Whenever you meet problem, we all do our best to help you solve your problem. 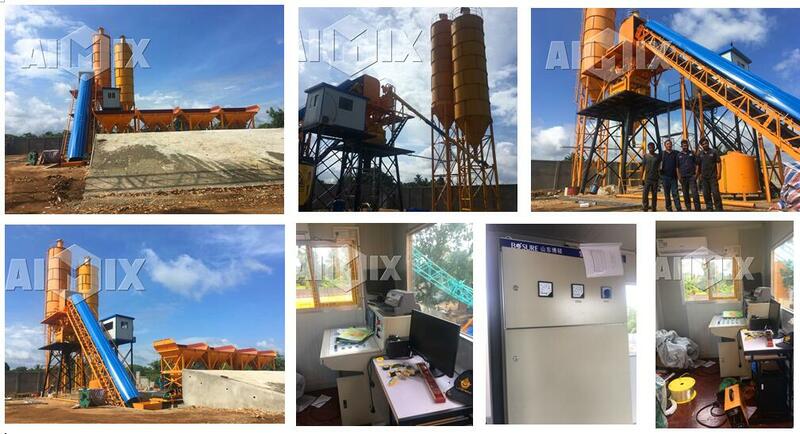 Aimix Group produces various of concrete batching plant, including ready mix concrete batch plant, mobile concrete batching plant, stationary concrete batch plant for sale, central mix concrete batch plant and so on. 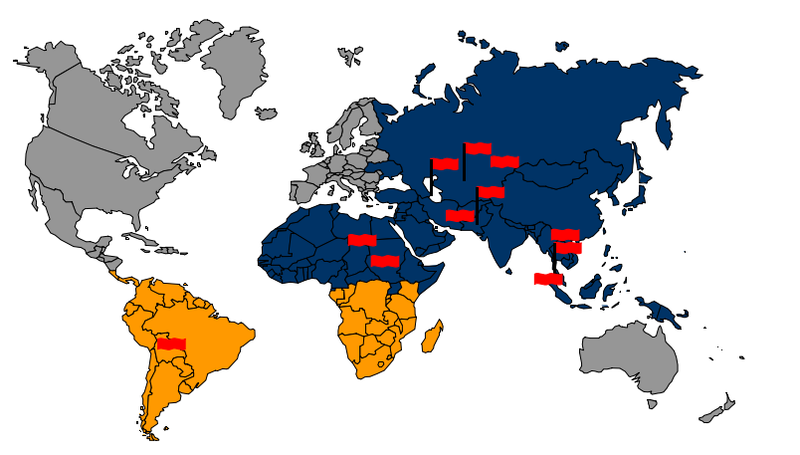 Up to now, our machine has been exported to over 80 countries, such as, Sri Lanka, Pakistan, New Zealand, Ethiopia, Tunisia, Turkey, the United States, Indonesia, Malaysia, Philippines, Uzbekistan, etc. 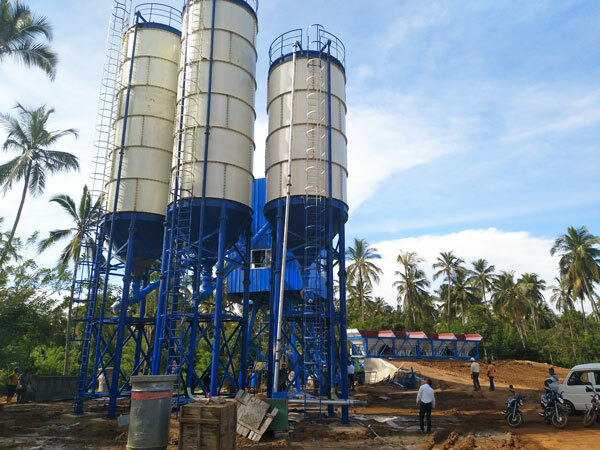 If you want to buy a concrete batching plant, and if you want to find a reliable concrete batching plant manufacturer, please don’t hesitate to choose us.